This City & Guilds (2919-01) qualification covers all the knowledge and skills required to install, fault find and inspect and test electric vehicle charging equipment in domestic, commercial and industrial locations. Logic4training’s Electric Vehicle Charging Point Installer course is for experienced electrical installation operatives and covers all the key skills to design, install, fault find and inspect and test domestic and commercial electric vehicle charging points. Candidates must have a sound practical knowledge of the wiring regulations and testing & inspection procedures. We have partnered with Rolec, one of the world’s leading specialists in the design, manufacture and installation of electric vehicle charging equipment to develop this course. On completion of this course candidates can be registered on their approved installer’s scheme. This allows installers to appear on Rolec’s national database of EV charge point installers to get referrals for installation jobs in your area. This qualification also meets the competency requirement for Installers to register on the Office for Low Emission Vehicles (OLEV) grant scheme for charge points in the home or workplace. Contact our Customer Service Team on 0208 845 7222 for more information. In July 2017 the government confirmed that it will end the sale of all new conventional petrol and diesel cars and vans in Britain by 2040 to tackle air pollution. This will surge demand of ultra-low emission vehicles such as plug in cars and vans. According to statistics from nextgreencar.com, the last few years, has shown a huge surge in demand for electric vehicles in the UK. The figure of 3,500 new Electric Vehicle registrations recorded in 2013, increased by the end of the first quarter of 2018 to a whopping 155,000. Car manufacturers are stepping up production to meet the demand with VW, predicting that their own EV car sales targets will soon exceed one million vehicles per year. If EVs are going to be on the road in significant numbers, we’ll need a reliable and wide-ranging charging infrastructure to make it work. This offers a great opportunity for electricians already equipped with the skills and experience needed to carry out electric vehicle charging point installations and maintenance. This course will help to future proof your skills within the electric vehicle charging point installation sector. 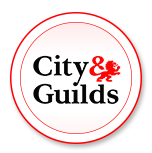 City & Guilds 2382 – 17th or 18th Edition Wiring Regulations or equivalent qualification. Have experience in carrying out Initial Verification (Inspection and Testing) on an electrical installation. Age Restriction: Minimum age is 18 years to register for this course. Understand key requirements, advantages & disadvantages of different types of electric vehicle charging arrangements and equipment. Design and install electric vehicle charging equipment at domestic, commercial and industrial locations. Carry out Inspection, testing, commissioning and handover of electric vehicle charging equipment. System test and fault finding. Upon completion of the training candidates will be assessed for their knowledge and practical skills on all competencies learned using the following method. The course is based upon the IET Code of Practice for the installation of EV charge point installations and a copy of this book is included in the course plus all associated examination fees.